Start by peeling the paper backing off of the plastic plate. Begin at a corner, it should come off easily. 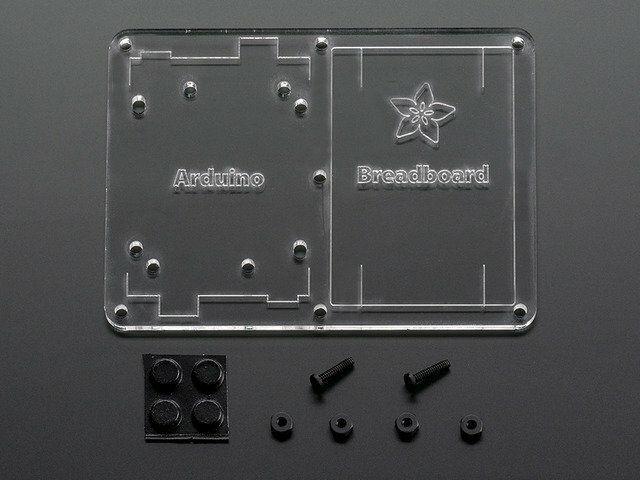 There are outlines showing how the Arduino and breadboard go on, make sure the print is right way up or it'll be confusing! Remove the paper backing from the half size breadboard and stick it on next to the Arduino. 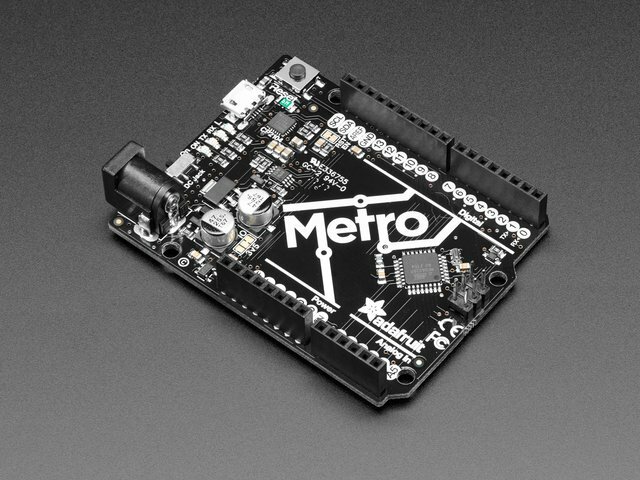 Watch that the bumpy side is not next to the Arduino so it it will flat against it. Finally, place four bumpers on the bottom! This guide was first published on Jul 29, 2012. It was last updated on Jul 29, 2012. This page (Assembly) was last updated on Apr 19, 2019.